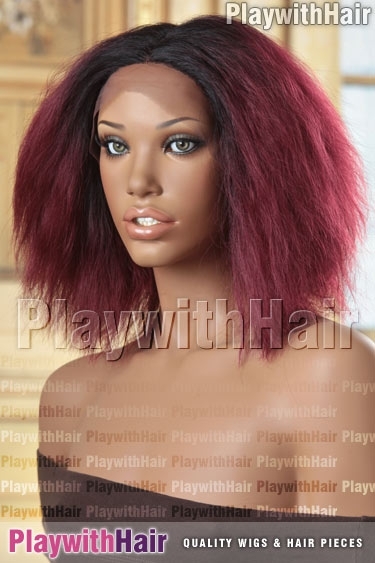 This wig has SO much personality!! 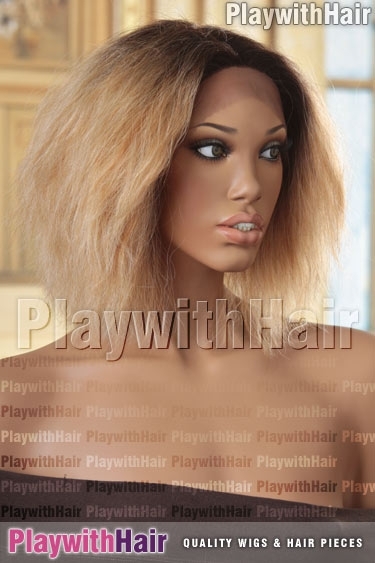 Loads of yaki textured layers and heaps of volume mean you will be turning heads everywhere you go! 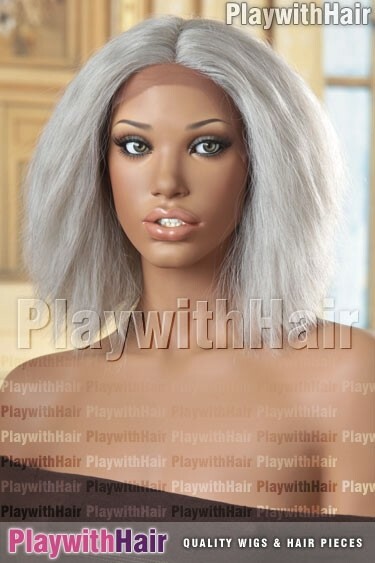 This wig has a yaki texture, meaning that it's not silky and straight, rather it has a wiggly crimed texture all the way along, which adds volume and texture without weighing you down! 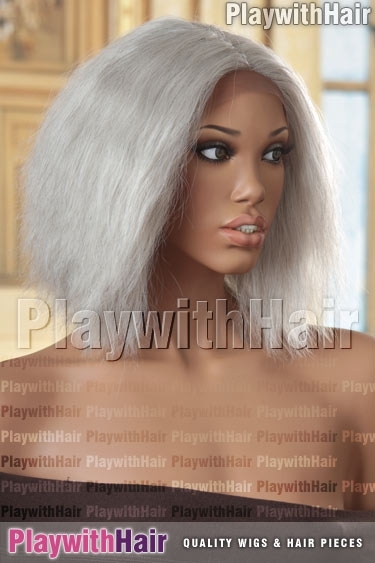 It also comes in some amazing new limited edition shades - This great style has a lace front hairline for a natural appearance - It looks like the hair is growing out of your head! 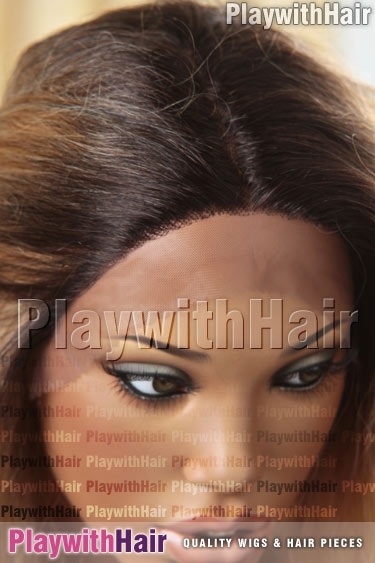 The lace you can see on the front of the wig is designed to be customised by cutting back the lace to the hairline for the best effect. 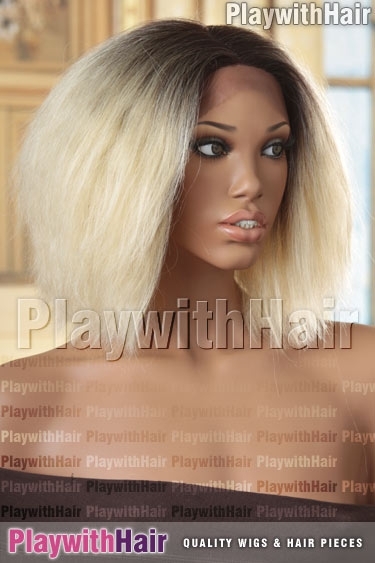 It also features a narrow hand-tied monofilament middle part, helping give the illusion that it's your own hair! 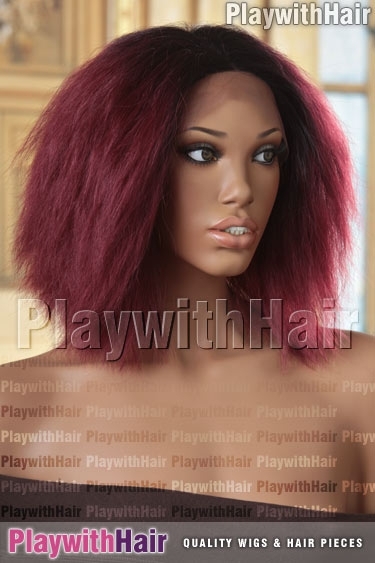 The hair used in this wonderful new style is also heat safe (on a low to medium heat) so you can use adjustable styling tools to gently add curls or straighten! 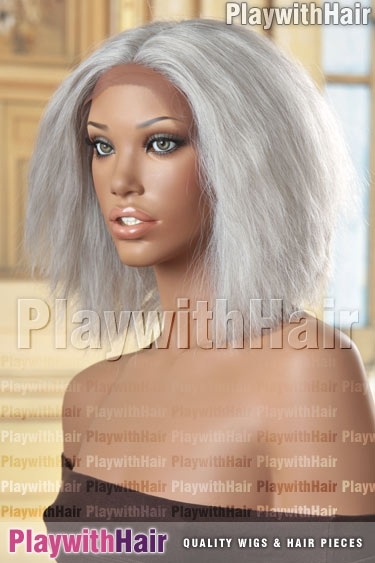 This wig is an adjustable Average size, with straps in the rear for easy adjustment. silvergrey Silver Grey Gray Ash Icy cool, this stellar shade is "SilverGrey"and is a superb cool grey that looks amazing!! som7008 Caramel Blonde Ombre Regrowth SOM7008 is a lovely caramel blonde with baby blonde highlights and suuper dark roots! tt1b/30 2Tone Black Auburn Tip This beautiful piece is offered in color tt1b/30, it's a two toned black and auburn. tt1b/darkgrey Grey Gray with Black Roots This stunning shade is tt1b/darkgrey - A soft black root with natural grey. It is straight from the catwalks! 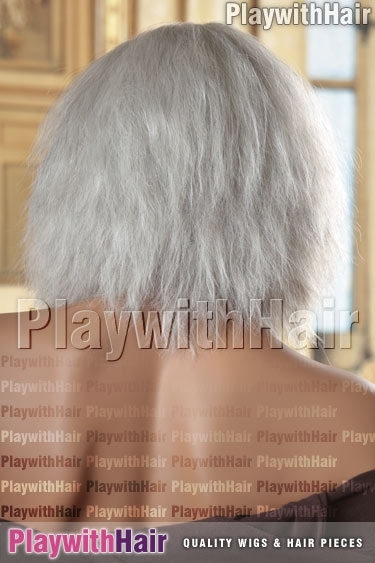 tt4/613 Platinum Blonde Brown Regrowth This beautiful piece is offered in color tt1b/white, it's a stunning soft black with white tips! Awesome.